Morning... I'm so far behind on Christmas this year, I'm thinking I might just sleep through it... Zero mojo when I have been at home means only a handful of cards have been made and I've not even thought about the fact they have to be posted today!!! I'm finally at home for a full 2 weeks (the first time since March this year I will have been at home for a whole week) and looking forward to getting back into the swing. Just glad that the trips to Birmingham are over and life may have some sign of being normal.. at least for a few weeks until the travel kicks off with USA in late January. I have re-organised "The Loft" and even re-designed by blog over the weekend ready for a new start in blogging.. I hope you like it! Anyhow, enough waffling, I do have a card for you today... It was Rachel's Birthday a couple of weeks ago and this is the card I made for her.. 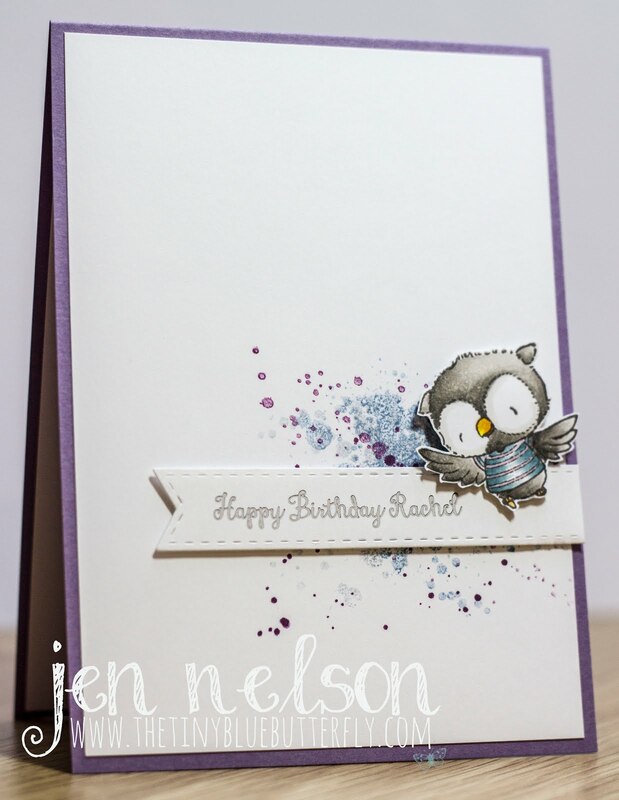 This is using the very cute Ruby Flying Owl from Stacey Yacula Studio. The sentiment is computer printed and foiled and a little Gorgeous Grunge from Stampin Up in the background! I may not be around all the time but I love seeing what you all create... I know my life is very different that when I started blogging and time for crafting is rare at the moment and I want to continue to share with you all. Have a great Monday.. I better get some Christmas Cards sorted and posted asap.. Morning.. December is finally here so I no longer feel guilty bombarding you with Christmas cards. I have used Apple Blossom Christmas Cheer for this card which you can find at a bargain £1.59 on Craft stash HERE! This was another DT card for Craft Stash!! 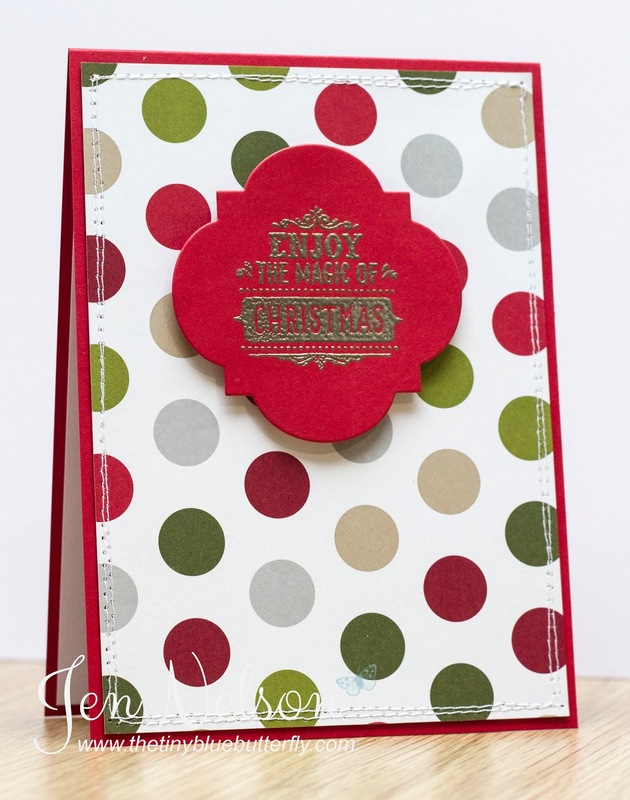 Kept it simple as always using embossing powder and fabulous DSP from Stampin Up.